Announcement In a high valley desert, in the southern interior of British Columbia, there is a wild girl growing herbs and flowers and vegetables. She wanders the woods and desert scrub lands harvesting plants and whispering to the trees and rocks. When her basket is brimming with lovely things, she transforms them into balms, baths, and delightfully-scented treats for your body, home, and spirit. In a high valley desert, in the southern interior of British Columbia, there is a wild girl growing herbs and flowers and vegetables. She wanders the woods and desert scrub lands harvesting plants and whispering to the trees and rocks. I love the scent! I sprayed in my wallet and around my business/home. I had clients all week. Coincidence? Maybe, but I love building ritual around prosperity. Such a great scent! Jen is a generous and thoughtful seller and she makes excellent, high-quality products. Unlike any other Florida Water I've ever experienced! Strong, fiery and fresh. Jen simply creates amazing products. 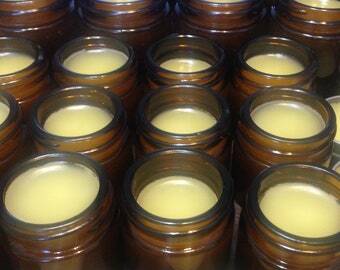 Her Skin Saver Salve is actually my go-to hand salve, and I also gifted a jar to my son, who had dry winter skin. It helped sooth and soften his hands. I love it. This scent is subtle, rich, and potent, while clean and light. My go-to provider and recommendation for anyone. Thank you! Autumn-hearted, moon-swooning, garden-dirt-covered woman, wandering in wild places and growing whatever she can, Jen creates charms and delights for body, bath, altar, and home out of the herbs and plants she nurtures and discovers around her. Three Cats and a Broom hopes you are completely happy with your purchase. We take great pride in our products and hope that you enjoy them. If for any reason you are not completely satisfied with your purchase, please send a message to the shop and I will be in touch right away. Because some of our products are of a heavier nature and several are housed in glass jars, we want to ensure the item gets to you in good shape. As such, we ship our items well wrapped, in padded envelopes or in boxes. Three Cats and a Broom makes every effort to ship 1-2 business days after your order is received. All shipping is provided by Canada Post and parcels over 2kg will be sent via surface transport in order to keep the costs of shipping to a minimum. If you would like expedited shipping, please message me directly and I'll price out a faster delivery service. Canada Post does offer a small parcel service via air transport to the USA for any parcel under 2kg and I will use this service whenever possible to expedite the delivery process. Generally, this service delivers your parcel within five business days. USA & International shipping: please note that on the rare occasion that customs holds up your parcel, the customer is responsible for any customs/duty fees incurred therein. Please message me directly for international shipping rates (outside of Canada/USA) as I prefer to get an accurate quote from Canada Post for you. Additionally, for international orders: some countries have restrictions on certain herbs/plants crossing their borders. Please be sure you can legally import the herbs listed in our ingredients before you order. Thank you! Please note: shipping prices have increased for 2019 to match current Canada Post shipping rates.